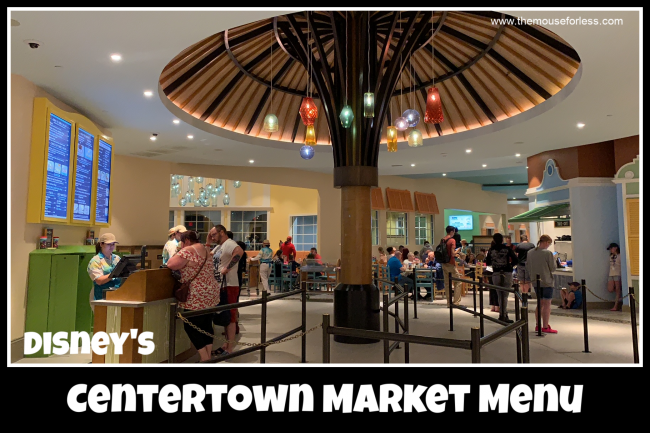 At Centertown Market, savor exotic island flavors at this fast-casual restaurant with an indoor street market vibe and flavorful Latin- and Caribbean-inspired breakfast and dinner menus. Centertown Market also features a grab ‘n’ go market for specialty coffee and a quick bite to go. All kids’ meals come with choice of small milk or small Dasani water. Meets Disney Nutrition Guidelines for Complete Meals without substitutions.